Here is an awesome freebie for kids who like to be creative, but just need a little bit of help! A company who offers free birthday ecards and free ecards for numerous other occasions now brings us free printable cards! There are many designs to choose from, but I love the printable cards that my children can print and color. I think ecards are great for friends and loved ones who do not live close by, but a physical paper card makes a better keepsake. With your assistance, your child can create a beautiful personalized card in no time at all. 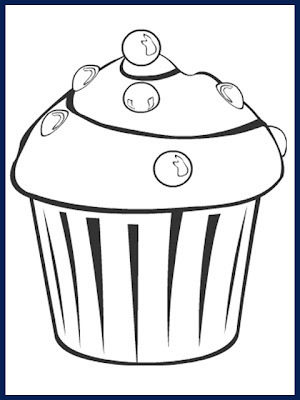 First you need to select a design, like the cupcake pictured above. Then you are able to customize the front of the card as well as the inside. For the text, you can choose between five different fonts, twelve different colors, and between four font sizes. You can also select the alignment to suit your needs and also add effects such as bold and italics. This site is very user-friendly. There is even an option to "Start Over" if your child would like to try something different. One of my favorite features is that you have the option to upload a photo to use in your card. That is a great way to make your card personalized for that special someone. Once everything is as you would like it, you just click on the printer icon to print out your creation. Then your child can add the finishing touches by coloring in the design. The finished product is guaranteed to be more special than any store-bought card. I am participating in the "Jump Start Your Blog Contest" sponsored by Got-Free-eCards and MomDot.com.